Are you up to the challenge of achieving your dreams or will you continue to merely be a product of your past? When I was a kid, I wanted to be a teacher. At school, I decided to become an air stewardess. As a teen who enjoyed dressing up, I thought modelling would be fun. Upon finishing high school, I decided to be an accountant. But I never got to be any of those. Life is indeed full of surprises. It gives birth to so many dreams and desires which evolve into completely different things. I remember when I met Michael McCarthy some four years ago. Michael is the writer and producer of many popular shows in the United States such as Sesame Street, The Drew Carey Show and Whose Line Is It Anyway? He had so many stories and pieces of advice to share with us, a small group of Malaysian writers who were fortunate enough to meet him. At that time, I had already been writing in the local entertainment industry for many years. I was feeling drained and lethargic because of my job. I have to admit feeling a little envy listening to Michael’s stories of success. I thought given the right opportunity, I too could have been as good and as successful. So I asked him a very cynical question. Michael looked right at me with a blank face and said, “Stop giving yourself excuses, Fa. Stop being a cry-baby. If you have what it takes, you will make it. As embarrassing as it was to be told off by a celebrity writer, it did knock some sense into me. I was too comfortable doing what I was doing and although I wanted more satisfaction out of my job, I did not put any effort into it. Many of us fall into the same trap. Day after day of going through the same routine makes us robotic. We start convincing ourselves that we are a product of our past and so we continue living our lives based on our circumstances. Once in a while when an old dream or desire kicks in, we give excuses by planting negative thoughts in our minds. Why are we happy with the way we are when we can be better? This is not an issue of greed but a matter of self-development. Don’t we owe it to ourselves to take up the challenge of being better people, better parents, better children, better spouses, better employees, better members of society and better leaders? We are all born equal. It is what we do during our lifetime which determines our value. So why do we feel content with what we have? Why not push ourselves and dare to dream big? There are so many channels out there to help — night classes, loans, self-help books and a variety of websites to explore the world of knowledge. There is so much potential in every one of us. If only we put in the effort, imagine how amazing we could be. This is how a teacher becomes a principal, a factory worker becomes a supervisor and a waiter becomes a restaurant owner. Two years after Michael kicked some sense into me, I won my first award in the Science Film Festival, beating 128 shows from 56 other countries. A year later, my show was nominated for the prestigious Japan Prize Award and last year I won the Festival Director’s Award for my involvement in the local theatre scene. Trust me — putting effort and passion into what we do makes a world of difference. Each of us has a choice moving forward — are we going to let the patterns of our past dictate our future? 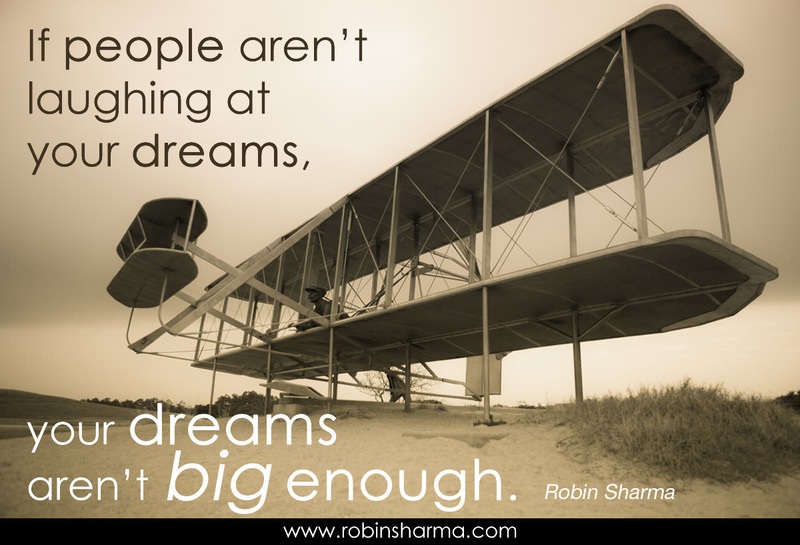 Or are we going to challenge ourselves to dream big?